We are heading into the home-stretch in our busiest time of the year, but we’re not quite there yet. We’re so tired. I told someone today that it feels like we’re on a long drive in the middle of nowhere and all of a sudden the “low fuel” light comes on. You immediately start trying to figure out how much further it is to your destination, you take a wild guess at how much fuel there actually is left in the tank and how far can you get on fumes… but the reality is that you just have to keep driving until you see a gas station (or until you run out of gas) and you have to keep focused on the road ahead. Ross was able to visit with a couple from India who would love to take FamilyLife back to their home city of Bombay (Mumbai) - the fifth largest city in the WORLD. It's always exciting to see the excitement in couples who realize that the conference isn't just for their own benefit, but that they could actually pass it along to others. Ross seems to be a magnet for people who have nearly impossible dreams/ideas of reaching others. He loves to encourage people to step out in faith and watch God work in big ways. Another highlight along that same line is that we packed out the optional session for people to learn more about joining the staff of FamilyLife, we had to send a crew out to get more chairs. That is one of Ross' favorite parts of the weekend because he feels like he gets to invite people to join in the harvest just like Jesus invited people to come to the harvest 2000 years ago. At FamilyLife, we are just scratching the surface of the work that we could be doing and it's not finances or opportunities that are holding us back... it's available people. Ross was so encouraged to meet a sweet young couple that were so excited about what God is doing through the ministry that they said they would like to support us financially! That was such and encouragement and the timing couldn't have been better. But the biggest highlight of all was when, 40 people prayed to receive Christ and 141 others indicated that they were recommitting their lives and family to Christ. It's exciting to know that at the very least, those 181 people left our conference having found true hope. Their lives will never be the same. That is why we do what we do. If you've read this far, would you stop and take even 1 minute to pray for our conference this weekend? 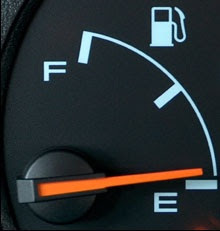 Pray that God would fill the ballroom with couples who have never heard the Gospel message, pray for the couples who may get stuck in traffic on Friday night, pray that the couples who show up "running on empty" will leave filled to the point of overflowing. Pray for us too, that we would finish strong, "not grow weary in doing good" (Galatians 6:9). We are so, so proud of you our precious children....well done...keep going...we are praying for you....you are almost there...we are cheering! and you are surrounded with a huge host of angels cheering for you!